PGA Tour pros, media members, and golf equipment makers from around the world flocked to Orlando for the 2015 PGA Merchandise Show. This year’s event – held as always at the Orange County National Golf Center – marks the latest convergence of golf enthusiasts and industry insiders vying to get a glimpse of the latest drivers, putters, apparel and accessories in an exhibition that got its start over six decades ago. The 2015 PGA Merchandise Show kicked off on Tuesday, January 20th, and ran through midday Friday. The show may be focused on everything golf, but it’s also known for something else: its size. 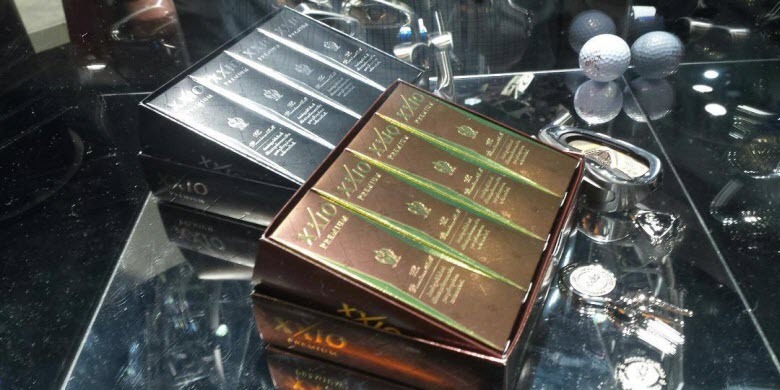 That’s because what started out as a few golf merchandisers getting together to show off one another’s goods way back in the mid-20th century has grown into an annual revival of sorts, with 40,000 visitors and over 1,000 vendors were expected to be in attendance. So how did a modest parking lot meeting of golf merchandisers at a Florida golf club morph into a mega-show that literally stretches further than the eye can see? We’ve already learned that a select group of golf merchandisers kicked things off over sixty years ago. What started off small in Dunedin, Florida quickly caught on, and by 1975 the event had secured an indoor showroom. It wasn’t until the mid-1980’s that the show ended up in its current digs at the Orange County Convention Center in Orlando, Florida. By the turn of the century, the PGA Merchandise Show had grown exponentially, becoming one of the largest annual gatherings in the entire sports community. The exhibition itself covers over a million square feet of indoor space for people to peruse and wander through during the massive three-day event. Today the PGA Merchandise Show brings with it an experience that golf fanatics should take in at least once in their lives. This year’s event boasts 200 vendors that are making their first appearance at the show, so anyone in attendance is sure to get a firsthand look at the newest products and manufacturers to hit the open market. Every year, a team from Golfballs.com makes the journey down to sunny Orlando, Florida to take in the business and pleasures that are the annual PGA Merchandise Show. Here are some of the highlights that our team experienced during the 2015 version. 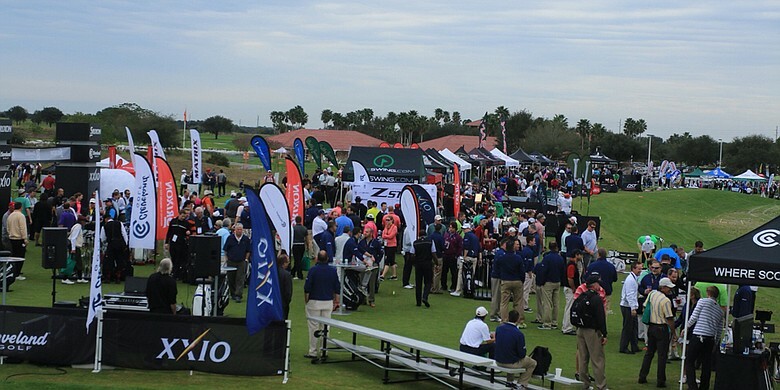 Since 2003, the PGA Merchandise Show has held an enormous outdoors Demo Day in conjunction with the show. This gives vendors and golf manufacturers a chance to get their newest equipment into the hands of industry professionals for real feedback. It is quite a spectacle to behold, considering the vast amount of tents, equipment and flat out people out there. As is tradition, a golf celebrity will attend and kickoff the show each year, and the folks that attended this years’ show got a special treat: Bubba Watson. Known as a fan favorite, the Orange County Convention Center was buzzing when Bubba addressed the crowd and opened up the show floor on Wednesday morning. After Bubba’s introduction, folks swarmed to the exhibition floor to get a first glimpse at everything the 2015 show had to offer. Each and every year, golf manufacturers from all over the industry use the annual PGA Merchandise Show to introduce, highlight and promote their latest and greatest equipment. 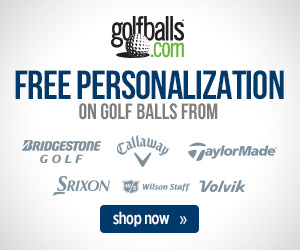 There are usually a handful of products that generate the most buzz, and while each person is sometimes drawn to different types of products, it seems the hype was centered around golf balls from four major ball manufacturers: Titleist, Bridgestone, Callaway and Srixon (well the Srixon booth, anyway). It would be foolish not to start with Titleist, the industry leader in golf balls, especially when they are introducing a new version of the most popular balls in golf, the Pro V1 and Pro V1x. Re-engineered for 2015, new Titleist Pro V1 golf balls promise to give you all that you would expect from the most played ball on Tour, but with a softer feel and more spin around the green. With the slogan Make a Difference in Your Game, there’s little doubt that the new Pro V1 can do that. 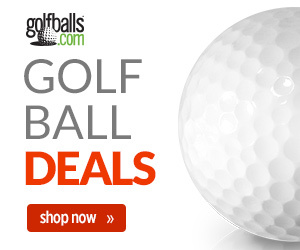 As one of the most played series of golf balls in the game, Bridgestone Golf upped the ante in 2015 by redesigning their very popular e-Series line of golf balls. Known for its outstanding ball flight, Bridgestone e-Series golf balls have been improved with the addition of its new WEB Dimple Technology. The new pattern combined with the aerodynamics of the Dual Dimple design reduces drag while the ball is in the air, creating a more penetrating ball flight. While Titleist and Bridgestone made waves with their new lines of golf balls, the most buzz singled around an individual ball had to be with the all new Callaway Chrome Soft golf balls. New to the excellent Callaway lineup of golf balls, the Chrome Soft combines low spin off the tee, with a low overall compression of 65 for simply excellent control on the golf course. Callaway made waves with their Supersoft golf ball in 2014, but it looks as if the new Chrome Soft is simply a better, more controlling version of that ball. Get ready to see it EVERYWHERE in 2015. Of course, there were TONS of other highlights that took place, from celebrity appearances, to product introductions, to a new line of craft beer from Freddie Jacobson, Graeme McDowell and Keegan Bradley. It was nothing short of a sight to behold, that’s for sure. Click here to view our Facebook photo album of many more new products and sites from the Show! For anyone wondering what can be expected during the three-day convention, just imagine for a moment a place where tens of thousands of golf nuts are meandering down crowded aisles, where the latest drivers, irons, and putters can be tested, where the pros come to support their sponsors, and where covering every booth and checking out every demo would take you on a ten-mile journey past every significant company representing the golf industry today. The rivalries among competing companies are something to behold as well. Every year, each company tries to outdo the other by securing more floor space, bigger displays and intriguing demos designed to bring more attention to their respective end of the convention center. TaylorMade Golf, for example, has a tradition of taking over an entire end of the building, turning it into a wild and entertaining showroom that could potentially keep visitors busy for the entire three-day event. Perhaps the most unfortunate point to address about the convention, however, is the fact that it is not open to the public. That’s right; the annual PGA Merchandise Show is closed to the majority of amateur golf fans and convention rovers alike. But if you’re ever lucky enough to secure a convention pass – which usually requires either an association with golf industry leaders or a media connection – then we highly recommend checking it out. For some, it’s the once-in-a-lifetime event that won’t soon be forgotten.